Go to any bookstore and you're likely to find a bevy of books on nutrition for athletes. Weight loss this, diet that, paleo here, gluten-free there...it's a pretty confusing landscape for someone who wants to tailor their nutrition first and foremost for running performance. Not long ago, Matt Fitzgerald put out the Racing Weight: How to Get Lean for Peak Performance and Racing Weight Quick Start Guide, which were interesting in that they brought a more performance focus to nutrition books, but they were still primarily about "weight loss" rather than "fueling yourself for performance." That all changes with Fitzgerald's new book, The New Rules of Marathon and Half-Marathon Nutrition. The New Rules of Marathon and Half-Marathon Nutrition is a guide to fueling your body during the marathon and half-marathon training cycle, during the taper, before the race, during the race itself, and for recovery after the race. 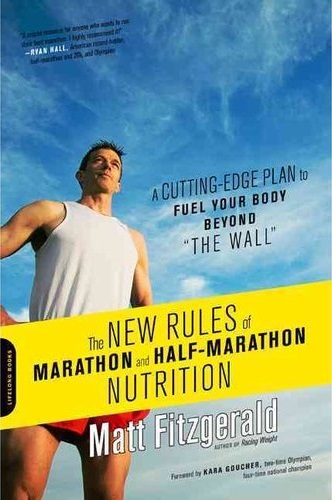 Fitzgerald opens the book by describing the fueling conundrum that marathoners face in order to finish the race without depleting the body's energy stores, which leads to the infamous "wall." He explains the science behind it in a simple, easy-to-understand manner, explaining why athletes hit the wall as well as what, theoretically, needs to be done to avoid it. Fitzgerald also includes a short section on his diet quality system that he talks about in his Racing Weight books, which focuses on what types of foods are healthy and should be consumed more often, though he makes sure not to outlaw any single type of food. The bulk of the book is devoted to performance nutrition from day 1 of training to race day. Fitzgerald includes information on macronutrients (for example, the importance of carbohydrates), hydration, sports drinks and gels, and nutrient timing after a workout. He then goes on to discuss nutrition during the taper, and presents information about subjects such as fat loading, caffeine fasting, and carbohydrate loading (which is not what many people automatically assume it is). The third section on performance nutrition covers pre-race nutrition, which encompasses the final few meals that are intended to fill the runner's glycogen stores. This is followed by a comprehensive chapter on race nutrition, since the body can't store enough glycogen for a full marathon. In this section, Fitzgerald presents multiple race fueling strategies involving different combinations of sports drinks, gels, and water, and their use. Finally, Fitzgerald includes a chapter on post-race, which includes a short section on re-fueling for recovery immediately thereafter, but devotes the bulk of the chapter to enjoying downtime for mental recuperation and then "quick starting" your training by losing downtime weight. The last unit of the book includes training plans for the half and full marathon. It begins by explaining various training approaches, along with the various training intensities used in different workouts, and then goes into detailing beginner, intermediate, and advanced training schedules with some very general dietary guidelines. This book really seems to be more focused on the marathon than the half, especially in the more race-focused chapters. Fitzgerald explains that the shorter the race, the less likely you are to run out of glycogen. The muscles are able to store x amount of glycogen, and not being able to store enough is more of a full-marathon conundrum, though Fitzgerald makes it known that it is possible, though less common, to hit the wall in the half-marathon also. However, the basic nutrition tips, particularly for the training part of the book, are certainly adaptable to the half, and Fitzgerald makes sure to include sample programs for the half. I found the training schedules to be the least helpful part of the book, since they're very general and don't explain much of the science behind them (other than the nutrition column). If you're looking for a training book, I'd recommend something like Daniels' Running Formula or Hansons Marathon Method (Did I really not review that book yet? I should probably do that). The New Rules of Marathon and Half-Marathon Nutrition is primarily a book on performance nutrition, and should be treated as such. Fitzgerald mentions the PEAR Training Intelligence System a few times, and I had no idea what that even was until I checked Fitzgerald's website. Considering PEAR is pretty expensive ($99-199 for the device itself, and $29 for a training program), it kind of came off as a little weird to me how many times he mentioned it. Thankfully, he does explain ways to determine the data without PEAR, so it ends up not being a very big deal. (I don't know, maybe PEAR is worth it, I really have no clue...but I'd be happy to review it if PearSports wants to send a review unit, hint hint :-D ). The New Rules of Marathon and Half-Marathon Nutrition is not a "diet" book (diet used in the sense of "weight loss diet" rather than "foods that you eat," because it does fall into the latter category), so if your primary goal is to lose weight and running fast falls lower on your priority list, you'd probably do better with a different book. However, I'd argue that if weight loss is your primary goal, you'd probably be better off putting off the marathon until you reach your goal weight, since you really need the calories to fuel your training (as is discussed in this book). Additionally, if you're looking for a training book, while this book does have some general training schedules in the last unit, it's not the book I'd recommend, since it's primarily a book on fueling for training and racing rather than actually training (obviously the two go hand-in-hand, but you know what I mean). On the other hand, if you're looking to run your best marathon and are not only trying to avoid the dreaded wall, but also fuel yourself for training, this book may be worth checking out. Nutrition is a significant portion of the training and racing puzzle, and for the runner looking to figure out how nutrition can help them to achieve peak performance, The New Rules of Marathon and Half-Marathon Nutrition is a fantastic resource. The New Rules of Marathon and Half-Marathon Nutrition by Matt Fitzgerald retails for $17.99, though it can be found on Amazon for less. Full disclosure: The New Rules of Marathon and Half-Marathon Nutrition was provided to me free of charge by Da Capo Lifelong Books in exchange for a review. The opinions expressed in this review are mine and based on my experience, and do not reflect the opinions of Matt Fitzgerals, Da Capo Lifelong Books, or anyone else. Since you mentioned it... If someone already has a bookshelf full of training materials, does the Hansons book add much to the party? I kind of want to buy it, but the message - seemingly, an emphasis on overall volume and lots of work around race pace - is not an uncommon one. Which is cool. Good training isn't shocking, or revolutionary, or gimmicky, or crossfitty. I liked the Hansons book because it gave me a little bit of science around what I was basically doing already. 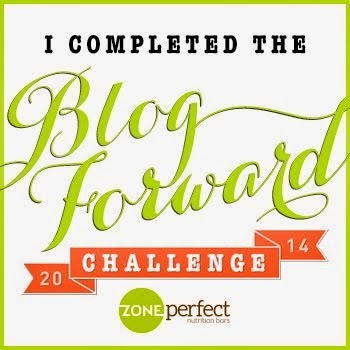 It's a different approach than you see in Pfitz, Daniels, and the like (emphasis is on cumulative fatigue, that is, running hard while tired, and the long run is de-emphasized, such that it's determined by time on your feet and percentage of weekly mileage rather than an arbitrary number), but nothing I wasn't doing already. There are a couple pages on race nutrition that were new to me, so if you haven't figured out how much to eat during a marathon, it may be worth borrowing, but don't buy it for one chapter. It's also pretty strictly focused on the marathon...the principles contained within can't easily be translated to say, a 10K. Like I said, I liked it, and if you want some basic science behind the training I described above (think the basic science you find in Daniels' Running Formula, not the more textbook-level stuff you get in Lore of Running or Better Training for Distance Runners), then it's worth a look. But as it looks like you've guessed, there's nothing revolutionary about it. Thanks. It's only $11 on Amazon now, so I'll check it out. I simply enjoy reading stuff about training, since I'm a dork for those sorts of things, so it'll at least be enjoyable in that regard. Furthermore, It sounds like a plan (or approach) I'd like. Coming from the trail/ultra side of things, time-on-feet is a common approach to long runs, rather than focusing on miles/pace.